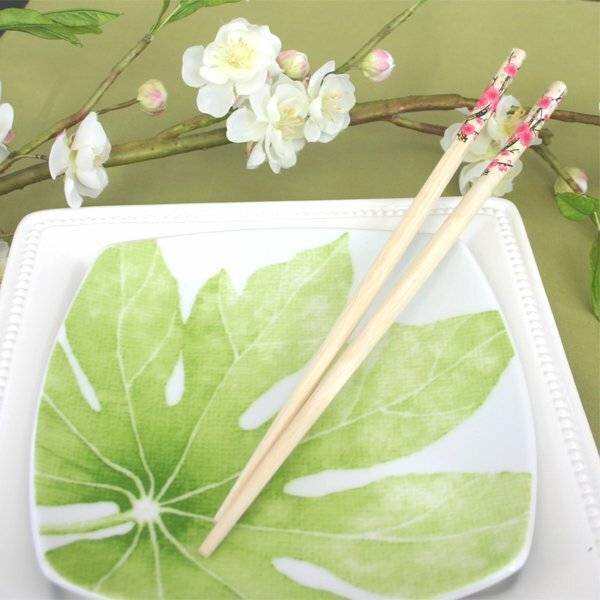 Chopsticks make elegant and sophisticated utensils that are used all over the world. 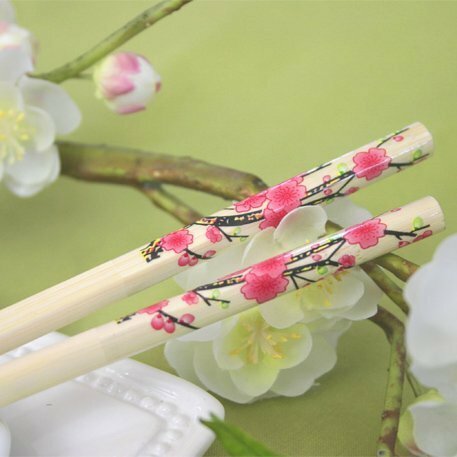 Decorate your wedding or special event with an eastern flair by adorning your place settings with our Cherry Blossom Chopsticks. Your guests will have good memories of your special event each time they use them. 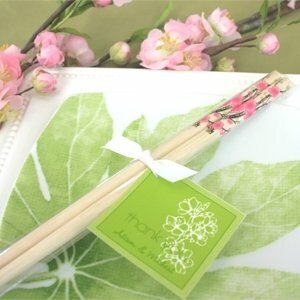 Each pair of 9" wooden chopsticks comes packaged in a clear sleeve and tied with a white satin bow. 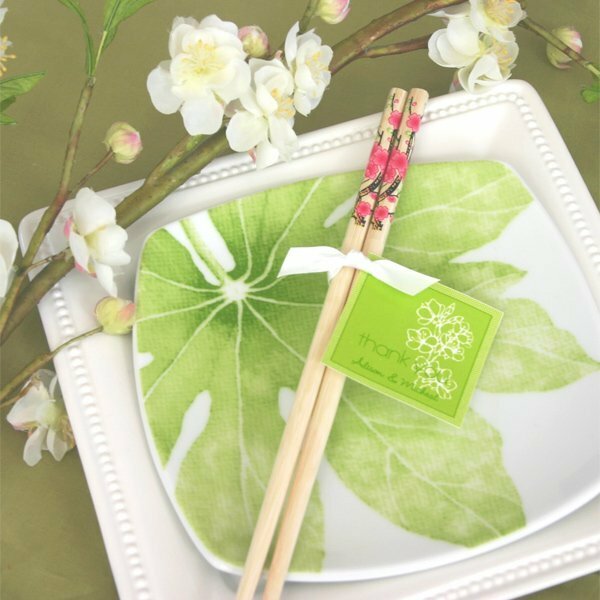 Personalized tag not included.